Q1. I have a discount code - how do I use it when I am placing my order at your website? 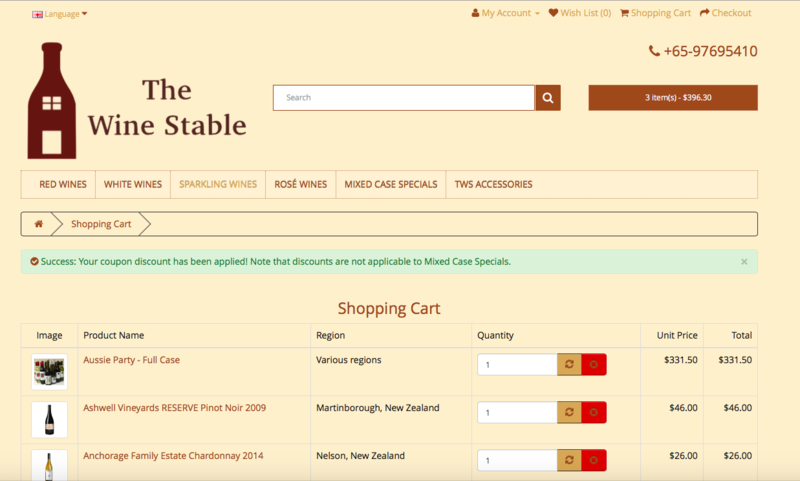 Add the items into your shopping cart as you browse through our website, then click on the Shopping Cart link at the top right corner of the website. Follow the steps according to the images below. After you have entered your Discount Code in the box, click on the Apply Coupon button. 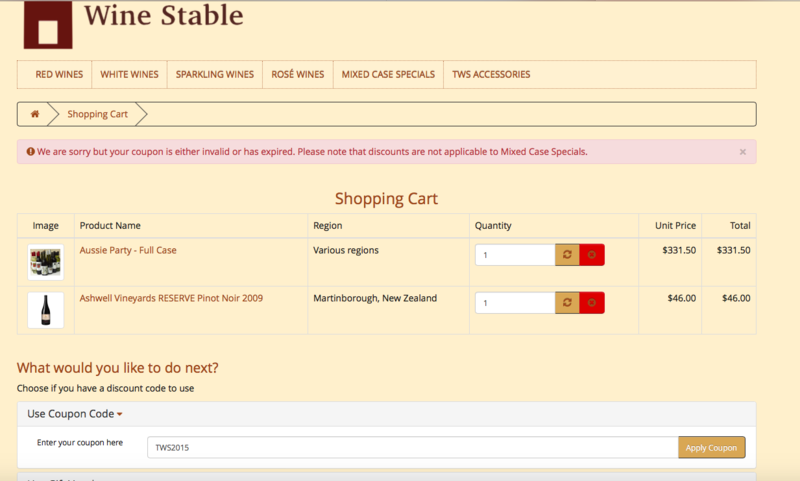 If you receive the error message in red as seen in the image below, it means that your coupon is either incorrect, has expired, or that you are trying to apply your discount code on items which are on specials which may not be applicable for further discounts. If you receive the success message in green as seen in the image below, it means that your Discount Code has been successfully applied onto the items which are eligible for the discount. Congratulations! 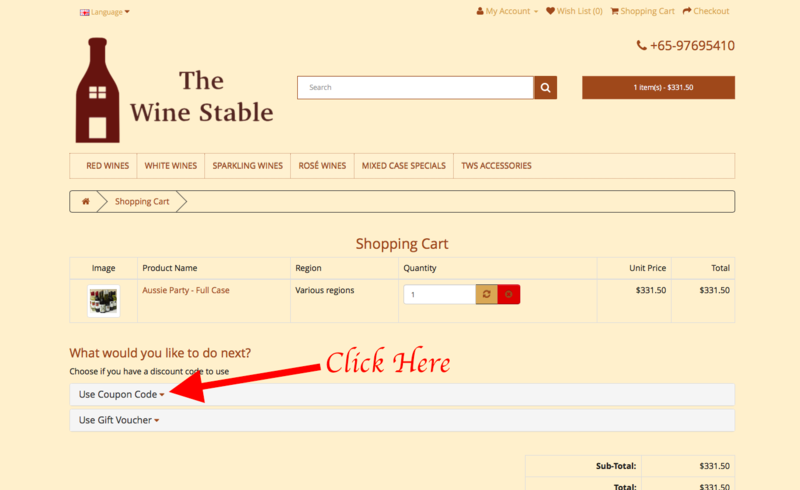 You can now proceed to Check Out your order by clicking the Check Out button at the bottom of the page and continue with the Check Out process. Q2. I am not familiar or uncomfortable with ordering on this website. Can I make a telephone call or write an email to place my orders instead? a. Call or text us at 97695410, and we will be more than happy to take your order over the phone and arrange the deliver to your place as soon as we can. 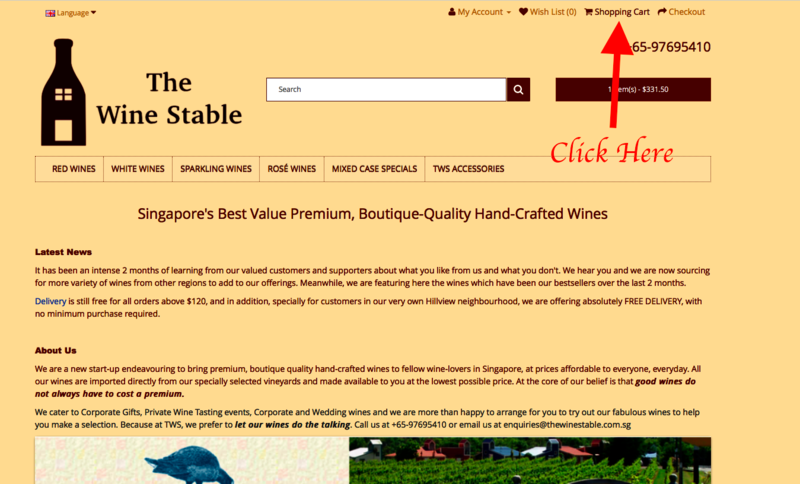 b. Email us at enquiries@thewinestable.com.sg with your order details (wines name, quantity and your address) and we will respond to you as soon as possible. Q3. 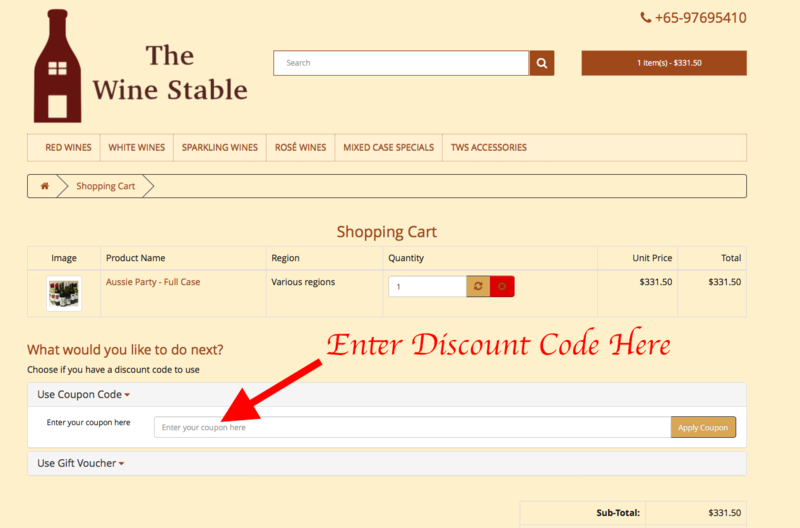 If I make my order over the telephone or email, can I still use my Discount Code? Yes, of course, just let us know your Discount Code and we can apply it to your order when you are ordering from us over the telephone or email.